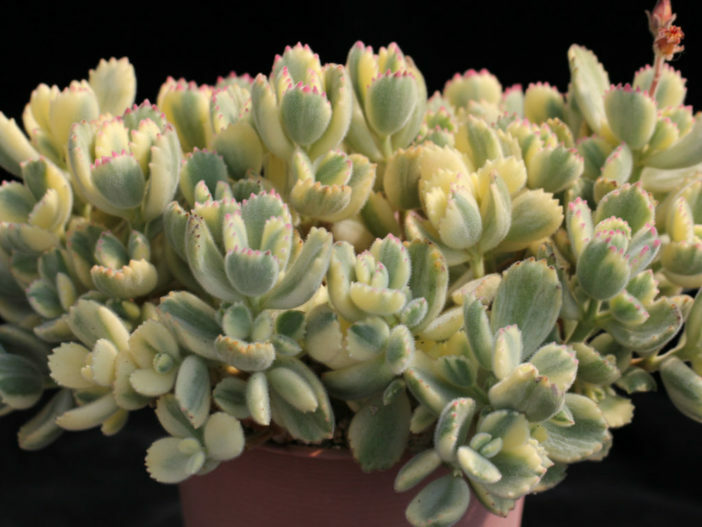 Cotyledon tomentosa ‘Variegata’ is a succulent shrublet, up to 20 inches (50 cm) tall, densely branched. 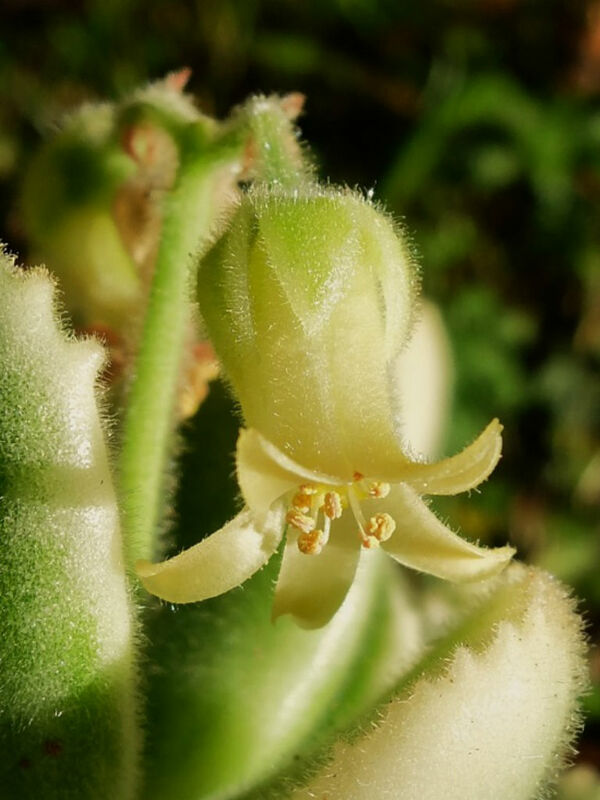 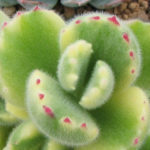 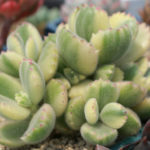 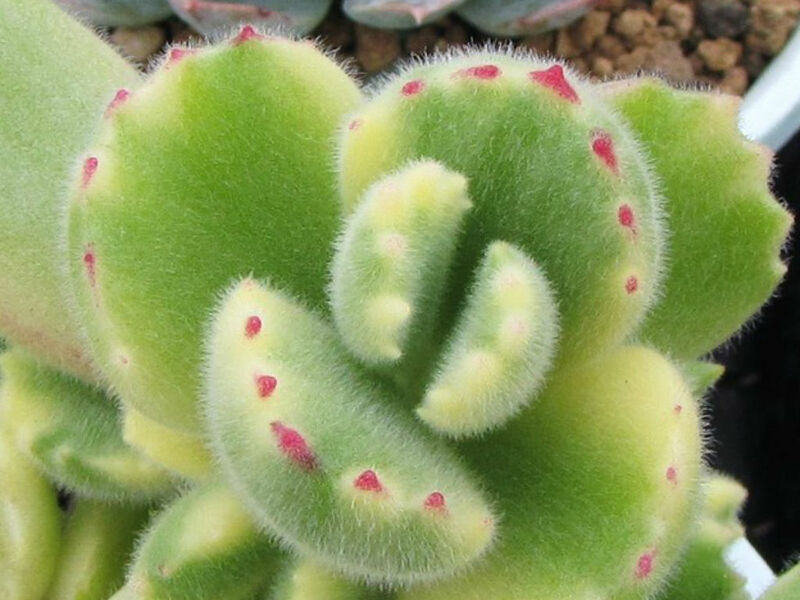 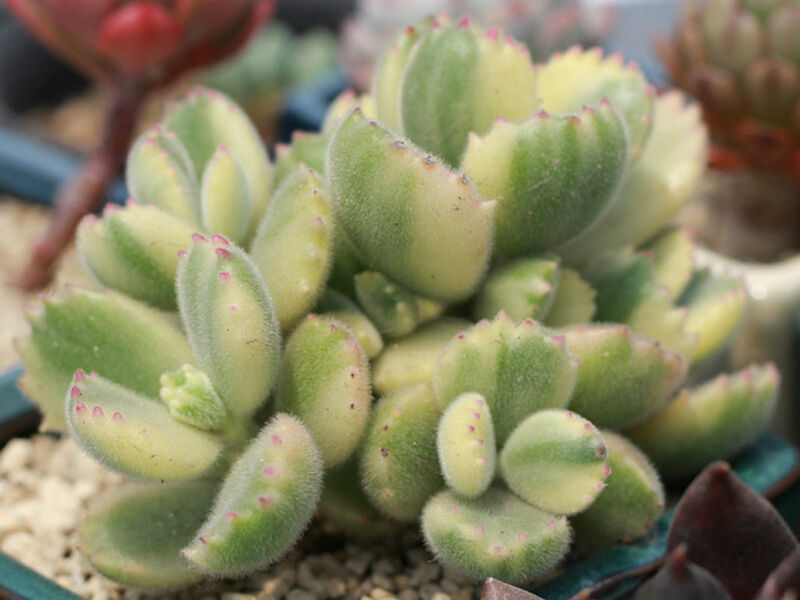 The leaves are flat, succulent and hairy, bright green with creamy variegation, up to 1.5 inches (3.5 cm) long with 3 – 10 (often reddish) teeth, arranged in a neat row. 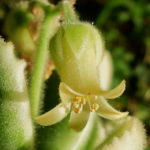 The bell-shaped flowers are light yellow, orange to orange-red or pinkish in color.